news Australian technology services group SMS Management & Technology has shifted the staff in its development facility in Vietnam to a third-party it has signed a comprehensive partnership with, as part of the company’s efforts to expand its offshore resources and reducing its fixed costs in the region. 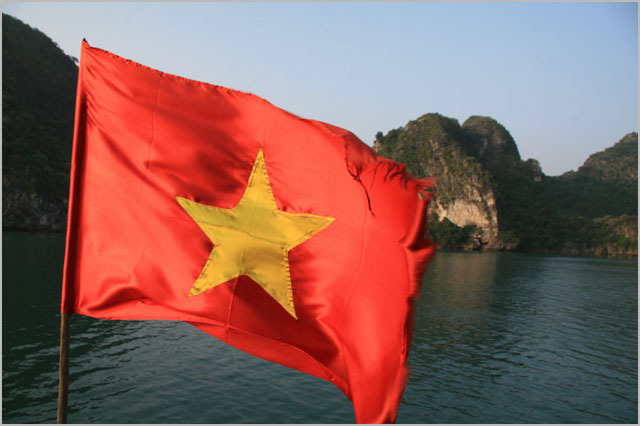 The company has operated a facility in Vietnam since at least September 2010, when it bought local enterprise content and business process management group Renewtek. That deal brought it 140 staff, $17.3 million in annual revenues and the offshore facility in Saigon, Vietnam. It was not clear at the time how many staff Renewtek had in the country at that stage. SMS had not previously had much of a focus on conducting work offshore. But the company said in its statement in 2010 that over the preceding three years Renewtek had honed the processes needed to manage the hand-off between on-shore and off-shore work – including development and support work. “SMS will use this as a foundation for the further expansion of its strategic initiative to provide clients with a broader range of delivery solutions … [it] will enable SMS to contest business it has otherwise not been in a position to respond to,” the company said at the time. In a new statement issued this week, SMS said it had formed a partnership with Vietnam’s largest software development house, TMA Solutions, which is slated to see the Australian company get access to TMA’s six development centres in Ho Chi Minh City. According to SMS, the new ODC will provide SMS with software development, mobile apps, software testing and professional services on demand. SMS now has access to up to 1,600 developers (up from 70 before this partnership) spanning a comprehensive range of skills, allowing SMS development projects to flex dynamically as required, the company said. The company said the new ODC facility provides SMS with: Established processes and quality management (allowing it to confidently service projects that require CMMI Level 5, TL 9000 and ISO 27001:2005 certification); software developers at lower cost than SMS’ previous Vietnam facility and at a more competitive rate than Indian off-shore competitors; and access to a broad range of technical skills including Microsoft, Oracle, IBM, Salesforce and Mobile Apps. In addition, the company will gain an “elastic model” where resources can be deployed across several projects and quality processes can be applied consistently; Scalability of resourcing to take on much larger and more complex software development opportunities (access to up to 1,600 staff allows a large number of resources to surge onto projects at short notice without the SMS holding costs); and language skills to support multi-country deployments. This is becoming more important as SMS expands into South East Asia. There is no doubt that this is a good deal for SMS. The company might have had more control over its offshoring facilities if it had maintained them in-house, and doing so might have reassured its clients (especially those in the government and financial services sectors, where SMS has strong relationships) about the security aspects of shifting work offshore. However, ultimately through this relationship SMS has gained access to a much larger development pool than it would otherwise have been able to deal with, potentially unlocking larger projects and allowing more direct competition with companies like IBM, HP, Infosys, Wipro and others who operate substantial offshore facilities. And the fact remains that it looks as though SMS was not able to scale up its Vietnam facility much in any case over the past three and a half years. It feels like the logical time for a model change.